Posted by OeWF in Events, OeWF News, World Space Week. This is the world’s first event for which we have the extraordinary participation of the famous jeweler, the Swarovski Crystals Company. The public will send rock samples from their own area to the OeWF Mission Control Center in Innsbruck, Austria, who will then combine them with a Mars meteorite. 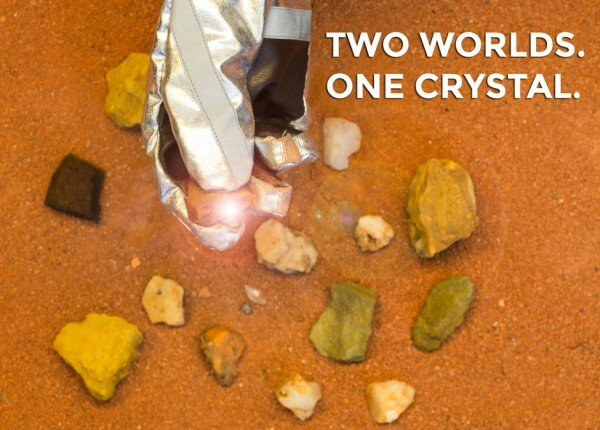 The combined samples from the two worlds will be transformed into special edition crystals by Swarovski, and redistributed back to the world. Two worlds. One crystal. Taking surface samples is traditionally the most common activity undertaken by explorers throughout history. This will also happen once we send humans to Mars. Following a very simple protocol – modeled after the actual sampling procedures during professional Mars simulations – we invite students and space enthusiasts worldwide to obtain their own rock sample from their location. The rock samples obtained worldwide by the public should be sent to the MCC Innsbruck by early November, together with the geographical coordinates and a picture of the sample site—be it just outside your classroom or a local rock quarry. The World Space Week will register and collect these samples and combine them together into one single “Earth Master Sample”. The Earth Master Sample will be subsequently mixed with a real Mars meteorite. Once the sample has been mixed, Swarovski Crystals has agreed to manufacture 5mm high quality polished crystals out of the Master sample, creating stunning crystals from two worlds. These special edition Swarovski crystals will be redistributed to space flight institutions and decision-makers to demonstrate a global interest in space exploration. Competition: Spot the meteorite in the picture and win an OeWF goodie bag! Which rock in the picture do you think is a real Martian meteorite? 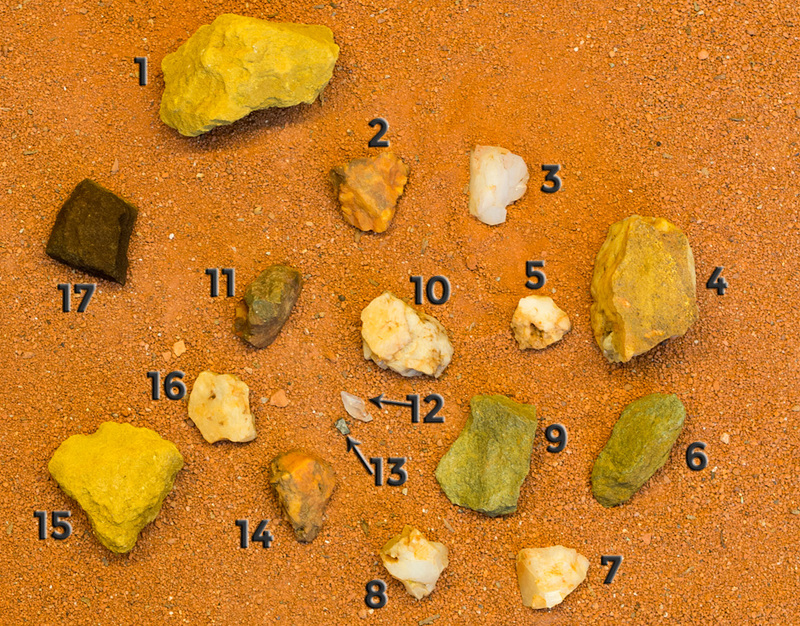 To enter the competition, just post a comment here, with the picture, indicating which rock you believe to be the Martian rock. Submit before October 10th and winner will be chosen after October 10th. The correct answer is rock no. 13. This is a Marsian meteorite found in Morocco and is now part of the OeWF Spacesuit laboratory in Innsbruck. We got 37 submission on Facebook & Blog with 4 correct answers. We withdraw a lottery from the 4 correct answers and the winner is “Gabriele Pa” (Facebook submission). Congratulations! Disclaimer: All OeWF members, organizer and volunteers of the World Space Week are excluded from the competition.